Directory of freeflight related weblinks. Freeflight, paragliding, hang gliding and other aviation associations, authorities and federations. Here is a list of some local accommodation (B&Bs, Self Catering, Camping and Youth Hostels) options to help you find somewhere to stay during your paragliding course. We cannot guarantee how up to date this list is, nor recommend one over another. UK Aeronautical Information & Air Traffic Services, NOTAMs etc. UK Microlights, Ultralights, Private Light Aircraft, PPL etc. Automatic Weather Stations (AWS) and Webcams around the United Kingdom. 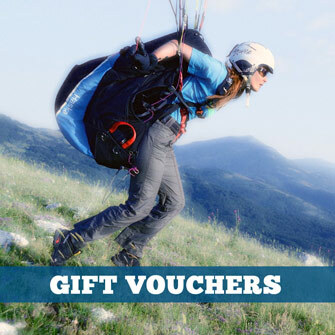 Paragliding, Hang Gliding, Paramotoring, Powered Paragliding (PPG), SPHG, FLPA and other Free Flight Clubs, and Competitions, Events, Cross Country Leagues etc, in the United Kingdom. Main and general weather websites. Satellite images: Polar, Geostationary, Visible, Radar, Infrared etc. Soundings, Tephigrams, SkewT, Upper Air Soundings etc. Synoptic weather charts showing pressure systems, isobars, weather fronts, troughs etc. Weather forecasts for gliding, ballooning and general aviation in the United Kingdom.